PT Sarihusada Generation Mahardhika (Sarihusada) is a company that produces various nutritional products for mothers and children with a focus on taste,affordability and international standards. 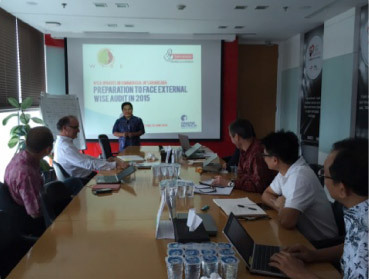 The company was founded upon the initiation of the government of Indonesia and The United Nations (UN) to address the problem of nutritional deficiencies that occurred in children at that time. In accordance to our vision, we aim to provide education as well as nutritional services and products to Indonesian mothers and children each day. We believe that the provision of proper nutritions from the early life- from pregnancy to child age - will give positive effects for the present and future. 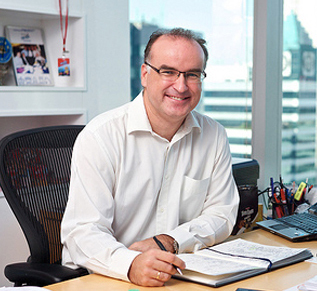 Sarihusada implements the Danone Group Values, which are basic principles that guides our operation every day. These values apply to the way we work and grow with our business, how we build our relationships and buy and sell products, and in how we recruit our employees. the same as we do towards the environment and society. Having an awareness of what we conduct presently while also proactively planning for the future. By rejecting archaic and obsolete working methods, we open our minds to new ideas through imagination. Symbolizes our passion and energy, as well as our ability in dealing with various situations with swiftness, flexibility and adaptability. We encourage constructive debates and the brainstorming of different ideas. Our management style means it easy to get ahold of us. We are also always commited to honesty. Being honest with ourselves and taking responsibility for all our actions. Dealing with our customers, suppliers and customers in genuine ways to build lasting ties in our buying and selling relationship. seek different, new pathways. We confidently cope with failure. With optimism and enthusiasm, we are eager to grow and lead. 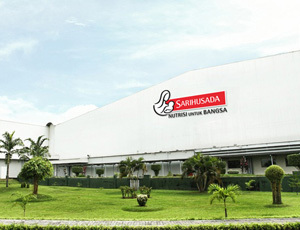 Sarihusada has been trusted in Indonesia since 1954 as a specialist in mother and children nutrition. 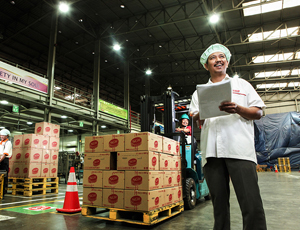 A member of Groupe Danone, a Fortune 500 company and one of the most successful healthy food companies in the world, our products are supported by 400 scientists from Research Center in Indonesia, Singapore and Netherland and manufactured at Klaten, Jawa Tengah and Yogyakarta with international standard. In our 60 years of business, one thing remain unchanged - our priority to provide Indonesian mothers and children with right nutrients and affordable products. This is in line with our mission of standby moms to nurture new life through affordable products and education. We take this role and vision seriously by consistently deliver quality and reliable products which meet the needs of Indonesian mothers and children. We are committed to delivering excellent quality to all mothers and children who trust and rely on our products and services. Every employee applies strict international quality standards throughout our innovation process: from ideation, research activities and ingredient selection, to the way our foods are manufactured, packaged and stored. We also have deployed the Focus on Quality (FOQUAL) program in the factories to ensure that we drive the culture and awareness even further. As a manifestation of our concerns for the Quality & Food Safety Management and Environment Management System, we have implemented ISO 9001, ISO 22000, ISO 14001 and HACCP (Hazard Analysis Critical Control Points) in our production facilities. Safety at work is a top priority at Sarihusada because everyone has the right to work in a safe environment. We promote safe and healthful working conditions for Sarihusada’s employees through Working in Safety Environment (WISE) program. We will continue to work diligently to assuring that every employee returns home safely every day. In line with its mission, we ensure all marketing activities are comply with regulations and Code of Ethics. We implement social responsibility through various activities and credible partners to give positive impact on the community around us. We also conduct dialogue & discussion with colleagues, healthcare professionals and nutrition experts worldwide to contrIbute its best for the advancement of the health of the Indonesian mothers and children. Consistent in implementing the company's cultural values at every operational level is a tangible presentment of Sarihusada's commitment to the principles of Good Corporate Governance (GCG). 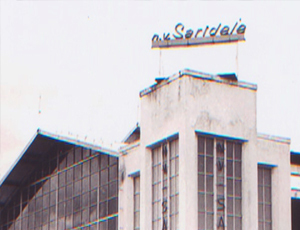 Sarihusada develop policies that support the management of the company in a professional and responsible manner, fully guided by the provisions of law and the prevailing ethics of working. Sarihusada is highly committed to trust, transparency, collaboration, governance implementation efforts, compliance with laws and regulations, the involvement of stakeholders, food safety and consumer interests, products and marketing information, biotechnology, environmental protection, employment, human rights, contributing to sustainable developments, business integrity, wisdom business execution, political involvement, honest competition, and supply chains. 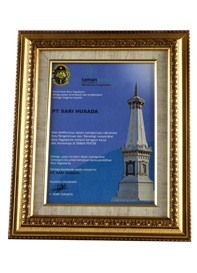 Sarihusada also actively promotes the Code of Conduct with all business partners, contractors, suppliers, and clients. The withholding, destroying or deliberate manipulation of information related to an offense, accounting, internal accounting controls or questionable auditing procedures. This policy describes the principles Sarihusada adheres to in running our business, in terms of related interest, bribes and unusual payments, as well as fiscal legislation, questionable trades and money laundering. In doing business, Sarihusada promotes Transparency, Governance Implementation Guidelines towards Enterprises, an obedience towards lawful legislations, as well as an honest competition practice. Sarihusada is always commited to upgrading its product quality as well as contributing to the health of mothers and children. This is an ongoing process which fuels the company's passion. These awards are dedicated to all Indonesian mothers and children. 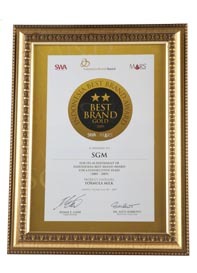 Sarihusada receives SGM Best Brand Gold from SWA and MARS as well as Indonesia Sustainability Reporting Award from NCSR, INA & IAMI. 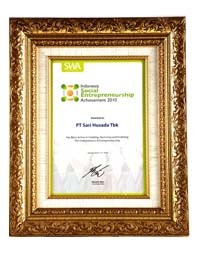 Sarihusada receives Social Entrepreneurship Achievement as a company that actively creates, flankes, and guides entrepeneurs and entrepeneurship from SWA and MARS, SGM – Best Brand Gold from SWA and MARS as well as Gelar Karya Pemberdayaan Masyarakat Award as a company that promotes MDGs in the category of promoting the health of pregnant mothers from the Ministry of Economy and Welfare & CFCD. Indonesian CSR Platinum Award for the Environment Sector Programme “Nature: Go Green Initiative" at the Sarihusada plant in Kemudo Klaten, Central Java. Indonesia CSR Award Gold in the Social Field for Program Srikandi Award “The Empowerment of Midwives For Agents of Change in the Health Sector to Promote Achievement of Target MDS's". 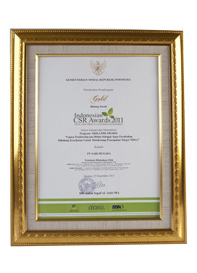 Indonesia CSR Award Platinum on the field of Consumer of the Gizikita program and “Let's Be Aware of Nutrisions” program: “The Provision of Micro Nutrients at Afffordable Prices accompanied by Health Education Programs for Mothers to Lessen Micro Nutrients Deficiencies in Children”. Pelangi Award from the Indonesian Children's Friends Association (APSAI) as a company that is considered on the forefront of children welfare in its work environment, product and marketing as well as social activities. By the mid 1950s, the Indonesian government and the United Nations initiated the development of a special program which would assist the adequacy of protein in Indonesia. Our attitude towards customers, colleagues, communities and the environment around us commitment in helping to improve the nutritional conditions of mothers and children in Indonesia. Sarihusada sets a strict standard of quality to its every product. We enforce the Focus on Quality (FOQUAL) program in our factories to ensure that food quality and safety becomes a shared culture and consciousness. Early Life Nutrition is essential for growth and development the health of all ages. Sarihusada always sets a high standard of Occupational Safety and Health (K3) for all its employees.